San Diego’s International Academy of Jazz 9 a.m. Ensemble is competing for a spot in the Monterey Jazz Festival in September. 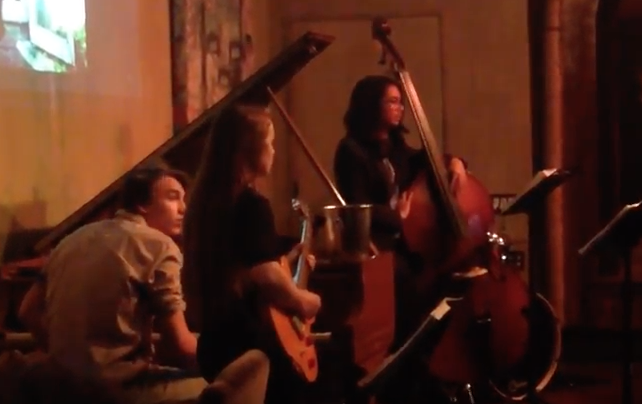 The students of the International Academy of Jazz are festival-bound, having been propelled from the strength of their audition tape into a spot at the Next Gen competition, celebrating its 47th year in conjunction with the Monterey Jazz Festival. The event gathers the top music students from around the country. The festival begins on March 31, and wraps up on April 2. The International Academy of Jazz 9 a.m. ensemble, directed by Gilbert Castellanos, includes Murray, Paige, and Dyson, plus Johnny Steele on drums, Jason Picker on piano, Nicholas Vedder on trumpet, and Andrew Martinez on guitar. Visit iajsd.org.